The resemblances to interwar Italy are unmistakable, and the results are gradually turning out to be almost as fatal. A picture of Prime Minister Recep Tayyip Erdogan, altered to look like Adolf Hilter, 6 June 2013. Thanassis Stavrakis/PA Images. All rights reserved. Any western leader might easily use these words to scold the Turkish state, and its starvation of Kurdish towns to the south-east of the country. But it would be highly unlikely. In fact, John Kerry’s tweet was aimed at the Syrian regime, not the Turkish one. Why do American leaders describe Assad’s strategy of ‘surrender or starve’ as a war crime, while they ignore Erdoğan’s? Perhaps because Turkey is an American ally, the hypocrisy is natural. But take one look at America’s mainstream press, and the reality is clearly far more complex. In November 2015, the New York Times magazine ran a gushing feature, “A dream of utopia in ISIS’ backyard”, which set out western Kurdistan as the only fulfilment of the Arab Spring’s dreams of autonomy and gender equality. Pictures of women fighting for Rojava filled the pages of the magazine, echoing the frequent mainstream media fascination with female guerillas ever since the rise of ISIS. Autonomy in western Kurdistan has been built by the Turkish regime’s biggest enemy, the Kurdish guerrilla movement PKK and its Syrian and other affiliates. At any place during the last 50 years, such enthusiastic support for the Turkish state’s armed rivals would be unthinkable anywhere near the American mainstream. Today, forces within that mainstream are trying to push American diplomacy in a more pro-Kurdish direction. The official American silence regarding Turkish brutalities in northern Kurdistan is not only the result of hypocrisy (a given), but also confusion. As the Kurds remain the only effective ground force fighting ISIS, and the Turkish regime keeps shifting in a fascistic direction, liberal-conservative America is completely confounded over who its real, long-term allies in the region are. (The melding of confusion and hypocrisy reached another peak when the whole western world roared against Turkey’s shelling of Syria’s Kurds, while even the liberal press was silent as Turkey butchered its own Kurds only a few days ago). This is not simply a difficulty of the moment. Structurally, emergent Middle Eastern dynamics have dynamited Pax Americana and the values it stands for. Neither liberalism nor peaceful conservatism are viable options for the region any more. The whole Middle East is sliding towards varieties of extreme, violent conservatism or fascism – a word I use with care. The choice of using any derivative of the word ‘fascist’ will be considered bad taste, given that the label has come to be used as a curse rather than an analytical category. However, as many regimes throughout the world shift to the extreme right today, it is not only possible but necessary to distinguish those that are based on mass mobilization from the rest. Erdoğan’s turn to authoritarianism has been compared to the rise of Louis-Napoleon Bonaparte. But if (following Poulantzas) we classify non-liberal capitalist regimes according to three ideal types (Bonapartism or right-wing populism, military dictatorship, fascism), the new AKP’s parallels with fascism are much stronger. Unlike other forms of right-wing dictatorship, fascism is based on a political party’s extensive civic networks. Although Bonapartism also involves some mobilization of the populace, the dictator’s organic links with the people he mobilizes are much weaker. The Italian and German fascist parties, by contrast, built on a long tradition of civic participation and mass mobilization, which runs deeper than loose right-wing networks (most significantly, in the case of Italy, fascism incorporated converts from syndicalism and left-wing socialism). In all of these regards, Turkey’s new path is definitively distinct from most post-war dictatorships (such as Salazar’s Portugal and post-Metaxas Greece, as well as Pinochet’s Chile), which were primarily built on the institution of the military (though they emulated aspects of the fascist experience). This even includes Franco’s Spain, the fascistic roots of which withered away in time. The party’s neo-fascism is also a response to the unravelling of global neoliberalism. Nevertheless, the AKP’s new path cannot be simply characterized as fascism, since it is definitely breaking new ground. This is not only due to Turkish specificities, but the intervention of historical time. The fascist experience, squarely situated in the interwar era, cannot be directly repeated today. At the level of mass movements, Third World revolutions, Maoism, and ultimately the Islamic revolution of Iran have followed the interwar years. In Turkey’s new regime, we can see traces of all of these (or at least, responses to these). Importantly, the party’s neo-fascism is also a response to the unravelling of global neoliberalism, which clearly has different dynamics than the unravelling of classical liberalism that occurred in the 1920s. Most starkly, the absence of an organized left and the relative insignificance of organized labour signal that today’s post-liberal regimes are under different kinds of pressures. Despite these historical and structural differences, the AKP’s authoritarian turn feeds from sources that can be compared to interwar fascisms. In its (liberal-conservative) first decade, the party had liquidated remnants of Islamist populism (known as National Vision) from its ranks. Some of the liquidators had targeted National Vision in their youth because it was not radical enough. However, the discourse of liquidation during 2002-2005 was based on Islamic liberalism. As a result of this liquidation, the party had joined (and indeed became the new leader of) Turkey’s old power bloc (while at the same time weeding off Kemalists). From the mid-2000s, the party started to mobilize radical and revolutionary Islamists. Two socio-political organizations that were key to this mobilization can give us an idea about the regime’s new direction after that point. The Haksöz circle, with its roots in Iran’s Islamic revolution, remained a part of anti-regime street action in the party’s first ten years. Now, whenever it takes to the streets, it is to support the regime. More significantly, a quite large and old Islamist organization, generally known as the Malatya circle, had upheld what some journalists called a proletarian version of Islam. Coming from an Islamist-nationalist background (influenced by the Italian experience to the point of sewing brown shirts for themselves while training in paramilitary camps), the Malatya circle had repented its nationalism and shifted in a social revolutionary direction under the impact of Iran’s Islamic Revolution. But from the mid-to-late 2000s, some of the Malatya circle’s members came to occupy central places in the state bureaucracy, as well as the mainstream media: they now put their revolutionary rhetoric to the service of a capitalist regime. Salafi-jihadism has emerged as the only dynamic option that can channel Islamic anti-establishment energies. Broader than these, the civic networks of newspapers, debate circles, Qur’an courses, dormitories, and so on, intensified their activities with an explicitly anti-capitalist and anti-western discourse, from around 2010. Many nodes in the movement-regime complex began to sound like Third World revolutionaries of the 1960s-1970s. An excessive focus on the person of the leader, even though he might have parallels to the Führer here and the nephew Bonaparte there, obscure these structural dynamics driving Turkey’s new regime. Finally, the rise of Salafism throughout the globe should be taken as a special factor that places a unique stamp on Turkey’s neo-fascism. Turkey’s sharp turn to authoritarianism cannot be analysed in isolation from the new global direction of the Islamist movement. As a result of the failure of Islamic liberalism in Turkey and revolutionary Islam’s shortcomings in Iran, Salafi-jihadism has emerged as the only dynamic option that can channel Islamic anti-establishment energies. As a confluence of all of these factors, religion has trumped race and nation as the primary thread that runs through the regime’s (and its allies’) totalitarianism. Nevertheless, the continuity with historical fascism should not be completely downplayed either. One direct thread that connects the interwar years to Turkish neo-fascism is the remobilization of the Grey Wolves. The paramilitary right-wing nationalist organizations known as the Grey Wolves were quite effective in fighting Turkey’s short surge of left-wing mobilization in the 1970s. The organization and ideology of these forces were directly modeled on Spanish Falangism. The military coup in 1980 split the Grey Wolves into a more Islamic and less Islamic faction. The Nationalist Action Party of the last three decades effectively de-mobilized the less Islamic faction, which remains by far the more populous one. (The AKP’s grand coalition of the 2000s already included Nationalist Action figures, but of the liberalized and de-mobilized variety). But one of the AKP’s glaring strategic successes over the last couple of years has been in re-energising and re-mobilising both factions; severing them from their parties; and building violent organizations by the name of Ottoman Hearths on the remnants of their base organizations (Ülkü Ocakları and Alperen Ocakları). Especially since June 2015, these base organizations have burnt down Kurdish party buildings and attacked Kurdish protesters. These paramilitary forces are obviously not alone in fighting the Kurds, but the lines between them and the official security forces have been blurred. In their siege of several Kurdish towns, the Turkish military and police forces are currently deploying both verses from the Qur’an and ultranationalist slogans as they kill militants — a ‘bottom-up spirit’ that was relatively lacking during the anti-Kurdish war of the 1990s. And as I have pointed out, the making of Turkey’s new regime intersects with the rise of ISIS. I want to further highlight the three-way intersection that exists between intensifying global Salafi-jihadism, the Turkish regime, and the mass mobilization I have just described. Turkey has become a breeding ground for ISIS. In two massive explosions in July and October 2015, ISIS massacred a total of 136 people. As importantly, in the second of these explosions, the police tear-gassed the survivors and blocked ambulances. And perhaps more significantly, football fans at a national game booed the moment of silence held for the victims. The international press did not pay much attention, until other Turkish football fans booed the Paris victims in November. During both games, the moment of silence was interrupted by not only boos, but Islamist slogans as well. What does this show? 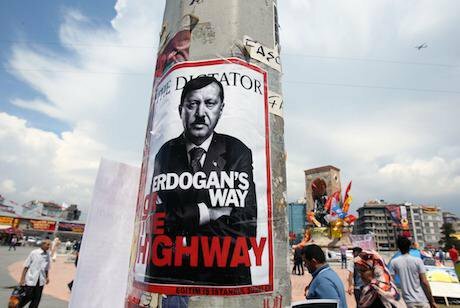 The recent authoritarian turn in Turkey goes far beyond mere regime change. It signals mass mobilisation in favour of radical-right ideas. In Turkey, the formation of the totalitarian regime has followed a quite different path from the establishment of German and Italian fascisms. Most intriguingly, the same party has first built a liberal-conservative order (based on the American model) with its own hands, and then demolished this system, not least through purging the most creative liberal and conservative elements within it (most importantly the conservative Gülen community and the liberal intelligentsia, who had spearheaded the soft totalitarianism of the party’s first decade). Another striking difference from the interwar years is the intense popular mobilization the party’s totalitarianism still faces. When Trotsky and Gramsci theorised fascism as the movement of the petty-bourgeoisie, sandwiched between the militant working class and a monopolistic business class, they got one element entirely wrong: interwar fascism arose from the ashes of the ‘red years’ (Europe’s revolutionary uprisings of 1919-1921). The petty-bourgeoisie’s most important contribution was cementing the dispersed and disorganised power blocs, rather than quashing the labour movement and communism, which were already in decline in much of western and central Europe. The AKP similarly rose on the shoulders of an upstart bourgeoisie in alliance with the petty-bourgeoisie and saved Turkey’s power bloc from its hopeless fragmentation. But the similarity ends there. The Kurdish movement is going through probably its strongest moment in its entire history. This is a strange fascism that is being built in the middle of ongoing and perpetual civil war. A comparison might be made between Spain and Turkey, since Franco’s regime was also established through a civil war. But the Spanish Civil War was extremely intense, covered the whole country, and lasted for only three years. The invincibility of the Kurdish movement (and its expanding Kurdish and Turkish base) sharply distinguishes Turkey from all interwar totalitarianisms, which did not have such strong contenders as the PKK. Despite that, the regional and ethnic spine of the PKK presents only a partial break on the total fascistisation of Turkey. There is another dimension we should not downplay. I have already alluded to Spain’s central distinction from Italy and Germany earlier – its military-based dictatorship counted on intense mass mobilization only shortly, but did not have the civic and political means with which to sustain this mobilization (nor the appetite to do so). Consequently, unlike Germany and Italy, it did not face constantly mobilised masses. Italian and German fascisms derived their power from these masses, but that power ultimately became self-destructive: within the boundaries of capitalism, the desires of the mobilized masses could not be satisfied. Their thirst for action could only be quenched through imperialist expansion, which also allowed these regimes to delay and divert the masses’ dissatisfactions (with the persistence of capitalism despite fascism’s anti-capitalist discourse). These regimes were already strongly motivated towards war, but perpetual anti-capitalist mass mobilization added structural pressures that rendered their imperialist efforts even more chaotic and unpredictable. Post-war Spain obviously did not encounter these problems, and became a regime that could be tolerated by global capitalism. The AKP is building a very creative, revised version of fascism. The new Turkish regime, by contrast, has been intensifying its mass mobilisation. Its newspapers are resorting to a discourse that is more anti-capitalist by the day. The resulting bellicosity of the masses and regime causes concern among western powers. At the same time, paradoxically, the regime is trying to convince the west that it is global capitalism’s best bet for peace in the Middle East, although unlike only a couple of years ago, it is not so convincing in this regard. But even this willingness demonstrates that its relationship to global capitalism is very different from that of interwar fascism’s. The Turkish regime is also the west’s stick against the Middle Eastern refugees. The EU especially needs Turkey to stop the immigrant flow, and therefore neglects all kinds of abuses in the country. If Turkey is not Franco’s Spain, it is not exactly Hitler’s Germany either. The PKK’s strength and Turkey’s complex relations with the west can be taken as the two main reasons why the shift to hard totalitarianism has been indecisive. In short, the AKP is building a very creative, revised version of fascism. We must focus in on its exceptional qualities: being built by a previously liberal-conservative party, which was once the darling of the west and the Middle East’s liberals. Why did this transformation happen? The mainstream narrative still takes the AKP’s first two terms (at least its first term) as a glaring success. The economy was in wonderful shape. Freedoms accumulated. Then, the prime minister amassed too much power. And power corrupts. (As side factors, mainstream accounts hold that the blockage of the European process and the Arab Spring also added to his delusions). What this narrative neglects is double-fold: the repression of Alevis, striking workers, environmentalists, socialists, and occasionally the Kurds during the AKP’s first two terms; and the western world’s and Turkish liberals’ occasional support for this repression. All of these had already culminated in a soft totalitarianism, where all kinds of anti-systemic politics came to be perceived as irrational and ‘anti-democratic’ (and silently ‘dealt with’). The title of a 2014 editorial from the Financial Times exemplifies the liberal analysis of Turkey’s dilemma: “Arrogance undoes the Turkish model”. The real problem, according to once-unquestioning supporters of the AKP, is that the AKP was not AKP enough: it retained too much of the political and ideological culture (mostly, Turkish nationalism) it had inherited from the older regime. Verso Books. All rights reserved.I advance an alternative explanation: liberalising capitalism multiplies points of tension (unlike especially non-fascist forms of corporatism, which are designed to contain them). Only a few countries are strong enough to repress or absorb the tensions created by liberalism. I argue that quite generalizable mechanisms, rather than Erdoğan’s personality or Turkish culture, are at the root of Turkey’s recent descent into authoritarian totalitarianism. So, what are these generalizable mechanisms? Liberal democracy fights against the enemies of liberal democracy. That’s far from surprising. Hence, both the west and Turkish liberals supported (or created excuses for, or ignored) the repression of anti-market forces during the first two terms of the AKP. What caught them off-guard was the turning of this repressive machinery against themselves. Over the last couple of years, the AKP regime has moved from soft totalitarianism to hard totalitarianism. Its exclusion (now carried out publicly and with pride) expanded from Alevis, striking workers, environmentalists, and socialists to liberals and the Gülen Community (a liberal Islamic group). There are certain conjunctural reasons for this. For the Gülen community, for instance, the primary problem turned out to be Israel. There were struggles between the Gülen community and old Islamist cadres regarding how to share the spoils of power. This never got out of hand until Erdoğan’s relations with Israel grew tense. After that point, the two components of the old AKP regime gradually split. But there is also a broader dynamic at play here. Liberal democracy always suppresses its enemies (one need only look to America’s Red Scare). In the advanced world, liberal democracy can live with such exceptions. But in ‘emerging markets’ there are too many enemies to repress, and the McCarthyism sooner or later runs loose. American democracy could survive as a liberal democracy despite the heavy repression of socialists and radical labour. However, in much of Europe, these forces were so strong that the state’s repressive apparatuses expanded indefinitely. When they were not sufficient, civilians were mobilized, and fascism was born. What is clear, in light of the Turkish case, is that liberalisation and democratisation cannot go hand-in-hand for an extended period of time in structurally weaker societies. While the spoils of a semi-productive model could satisfy many social groups, the downturn of the world economy after 2008 gradually dynamited the cash basis of the AKP’s consent. In this new global scene, the party had to incorporate more and more Islamist cadres to retain a mobilised base, but these very cadres pushed the regime into a collision with Israel, the liberal intelligentsia, and various (local and foreign) capitalist interests. Under increasing pressures from the emboldened cadres (and the opening granted by the Arab Spring), the party’s hardly contained imperial ambitions were bolstered further and eventually ran out of control. Becoming more Islamist first seemed to be a wonderful resolution to the problems created by slowing economic growth, but this political choice backfired. The resemblances to interwar Italy are unmistakable. Il Duce first united Italy’s fragmented upper classes and put a stagnant Italian capitalism on an efficient path, not through only top-down policies, but by mobilising ex-socialists, ex-syndicalists, former officers and middle strata. Similarly, the AKP’s empowerment of Islamist cadres throughout the 2000s restored the post-1980 neoliberal-conservative regime. The economic liberalism, cultural conservatism, and political authoritarianism that a military regime initiated in 1980 were first ‘democratised’ by a liberal-conservative party (ANAP) in the 1980s. Despite an initial decade of popular enthusiasm, liberal conservatism alienated broad strata in the 1990s. The neoliberal actors could save Turkey’s post-1980 direction only through merging with their former enemies. The Islamists inherited these lethargic actors’ overall package and modified it through radical policies and discourses. And the results are gradually turning out to be almost as fatal as Italian fascism for their erstwhile benefactors. 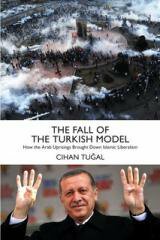 Cihan Tugal's new book, "The Fall of the Turkish Model", will be published by Verso.